Astronaut Peggy Whitson was pictured during her seventh spacewalk which took place Jan. 6, 2017. Expedition 50 Flight Engineer Peggy Whitson is set to go on her eighth spacewalk Thursday morning and surpass astronaut Suni Williams’ record for the most spacewalks by a female astronaut. 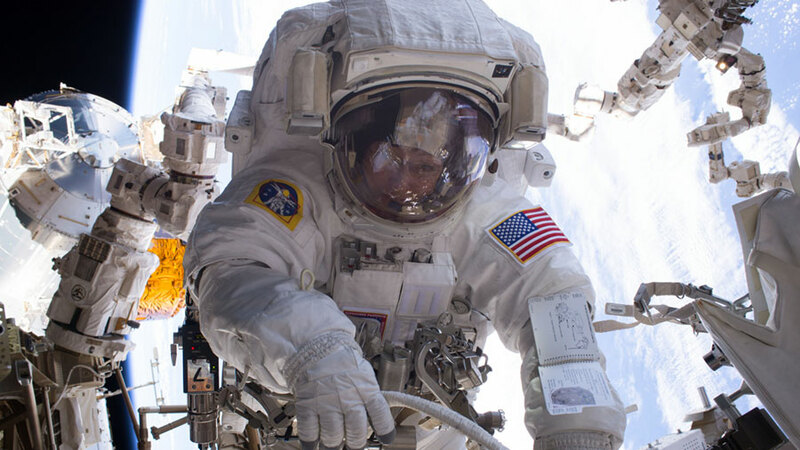 Whitson’s last spacewalk was on Jan. 6 with Commander Shane Kimbrough when she hooked up new lithium-ion batteries and inspected the Alpha Magnetic Spectrometer. Read more about spacewalks at the International Space Station. Thursday’s spacewalk will see Whitson and Kimbrough finish cable connections at the Pressurized Mating Adapter-3 just recently attached to the Harmony module’s space-facing port. The PMA-3 relocation gets the station ready for the new International Docking Adapter-3 set to be delivered on a future SpaceX Dragon cargo mission. European Space Agency astronaut Thomas Pesquet, who conducted last week’s spacewalk with Kimbrough, will assist the duo in and out of their spacesuits and monitor the activities from inside the station. The spacewalkers are scheduled to exit the Quest airlock Thursday at 8 a.m. EST for 6.5 hours of station maintenance work. NASA TV will cover all the spacewalk activities beginning at 6:30 a.m.
Well…guys…. as i said earlier….science and technology rapidly improving and nobody-knows what mind-blowing discoveries..that previously seemed impossible will become real in the future….so, always keep discovering.. good luck guys…!! Thanks for sharing post.